Dimensions 1 by 6.50 by 8.50 in. 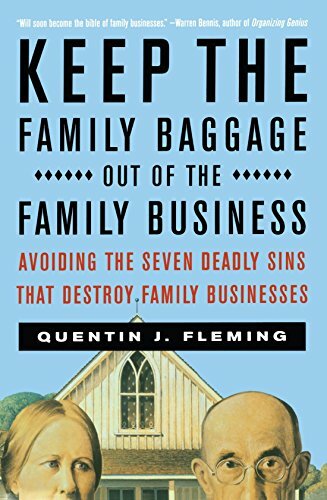 Amazon.com description: Product Description: Family businesses epitomize the best of the American Dream: you work hard, you're your own boss, you leave a lasting legacy to your childrenâor do you? Statistics show that only 30% of family businesses survive to the second generation, and a paltry 10% survive to the third generation. Family businesses are in trouble, and their survival is crucial to us all. Their success ensures our country's successâand their failure can drastically affect our economic health.